Lake Grace was really only intended as a stop over on our way to Wave Rock, but we have decided to stay two nights to have a rest day as we thought. But this morning we headed off to have a look at the countryside and it turned into a full day adventure. 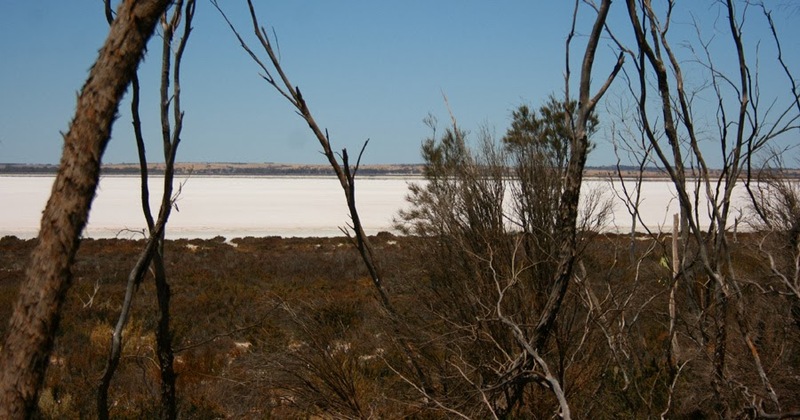 Lake Grace is a small country town named after the Lake Grace Salt Lake, one of the many and the largest salt lake in this region. 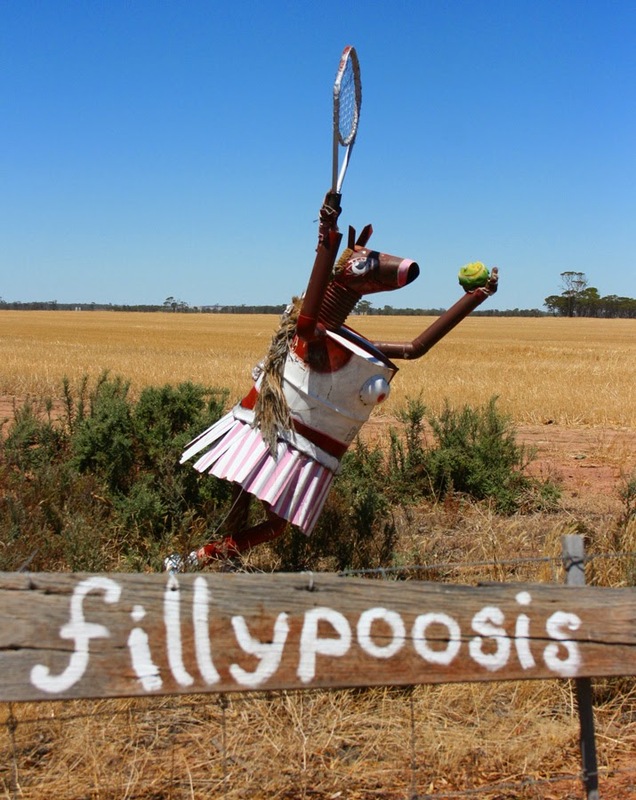 The township is rather small but is in quite a large shire created around agriculture and community spirit. 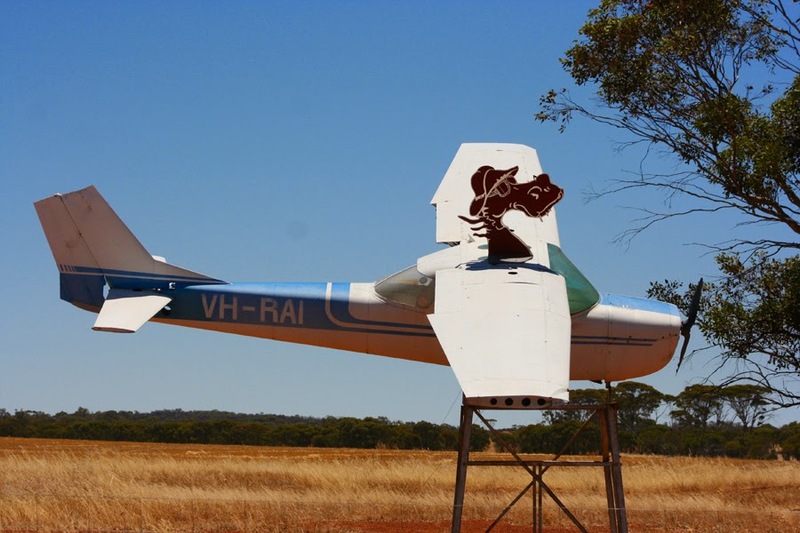 This area is a major grain growing region for wheat, canola, oats, lupins and other legumes. Another main agricultural industry is the farming of sheep for wool and meat. 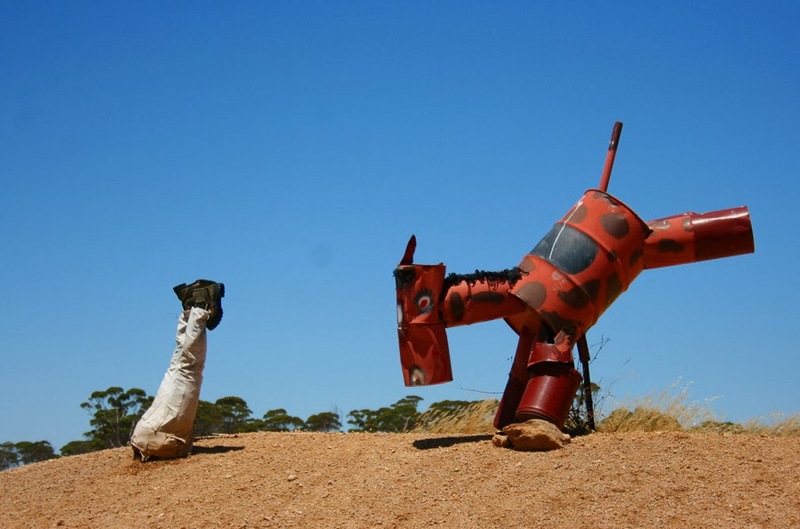 The community spirit is evident in this small town by the artwork that is scattered around the streets. But today I was on a mission! 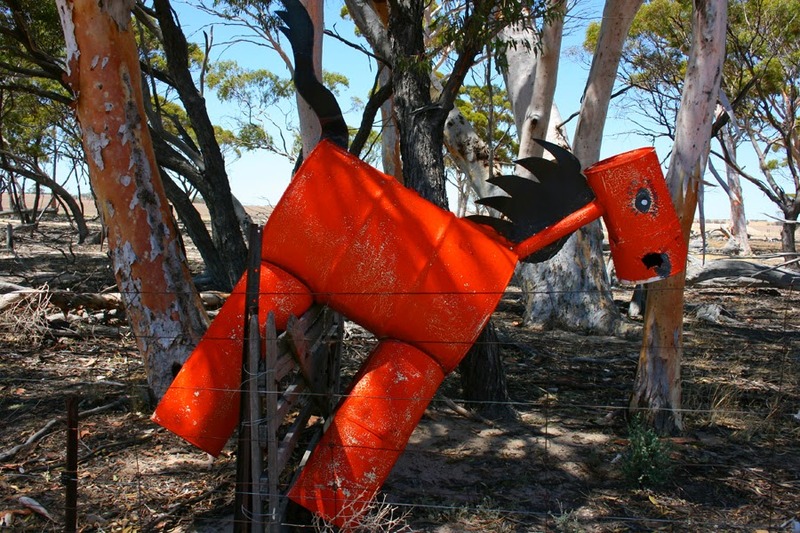 I had read about the "Tin Horse Highway" and wanted to check it out. 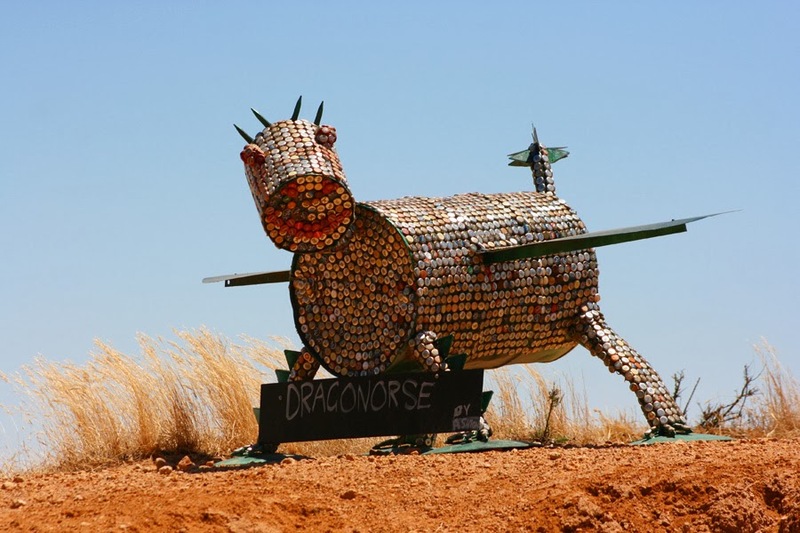 I never dreamed there would be so many Tin Horses! They started about 14 kms out of the township of Kulin and it took us around 45mins to drive the distance. Shane was getting sick of stopping the car to let me out to get a shot. But I also noticed he was spotting some before me so I think many he was pretending he was getting sick of them. 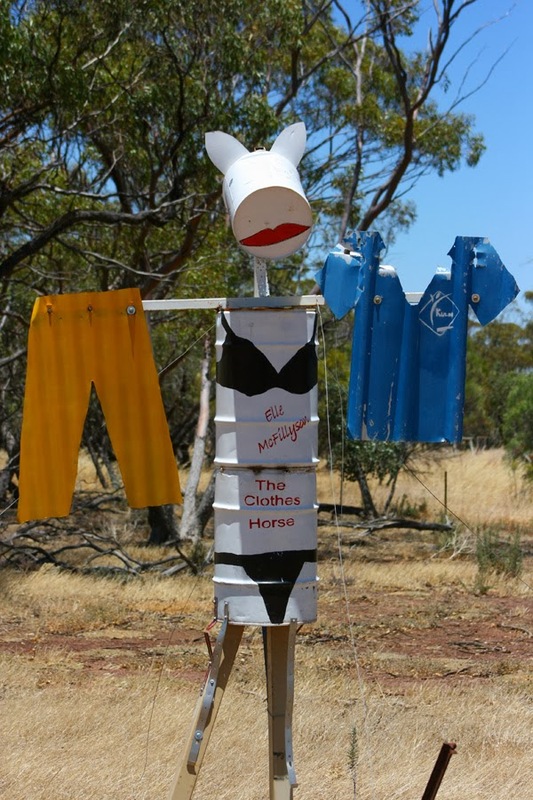 These funny, bright, quirky community creations were originally started as a campaign to promote the annual Kulin Bush Races held every October. But they have devised a wonderful attraction to get visitors to their township all year round. wind over thousands of years. 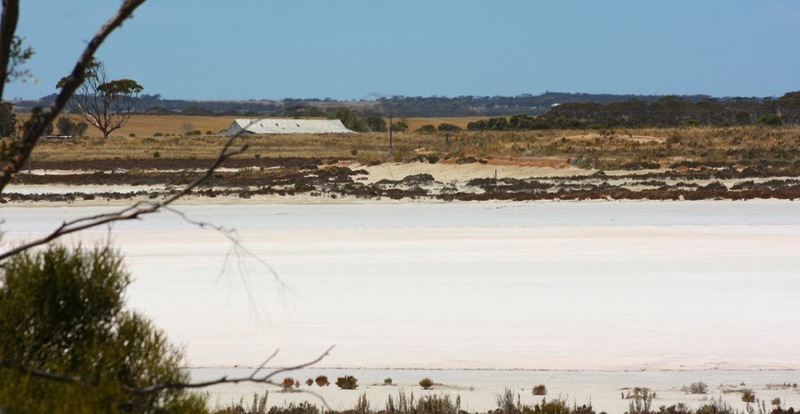 Salt lakes such as Lake Grace act as huge evaporative basins for groundwater. surface to form a stark white, crystalline crust. 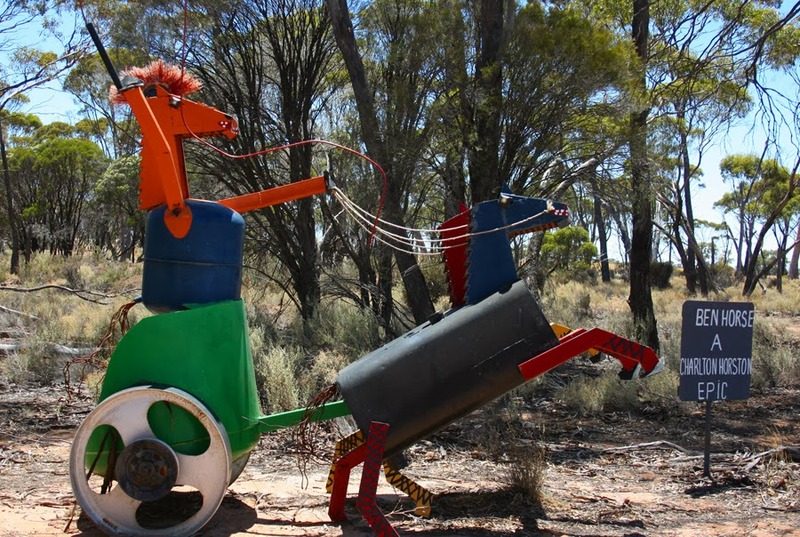 Here are just a few on the many Tin Horses we saw. Oooops! Someone has been bucked off!! Ooops! Someone didn't make the hurdle! !